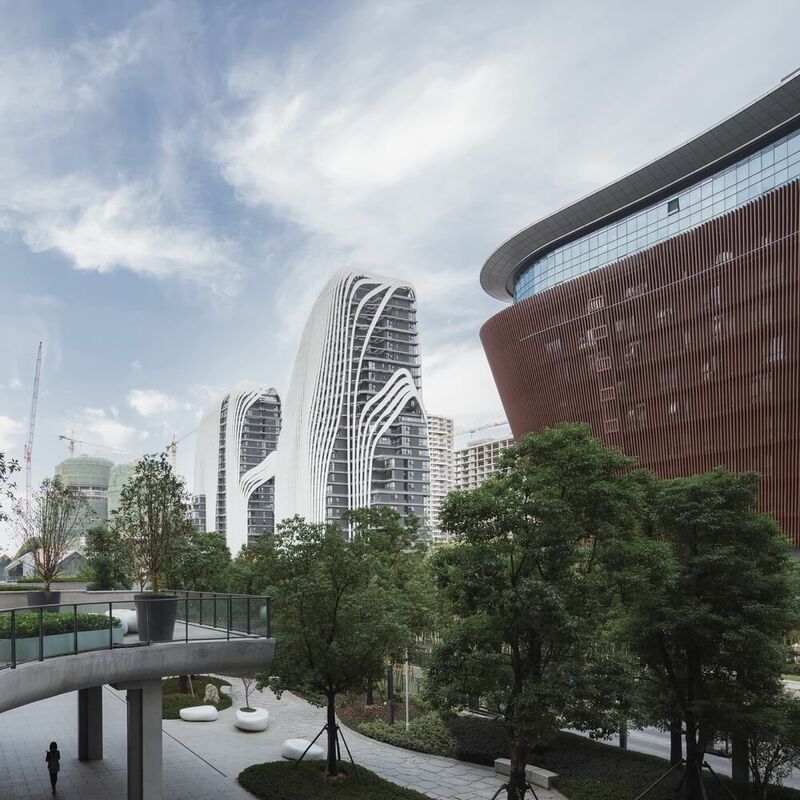 An architectural firm based in Beijing, MAD Architects, has revealed the pictures of their latest urban project, Nanjing Zendai Himalayas Center which is on the verge of completion. 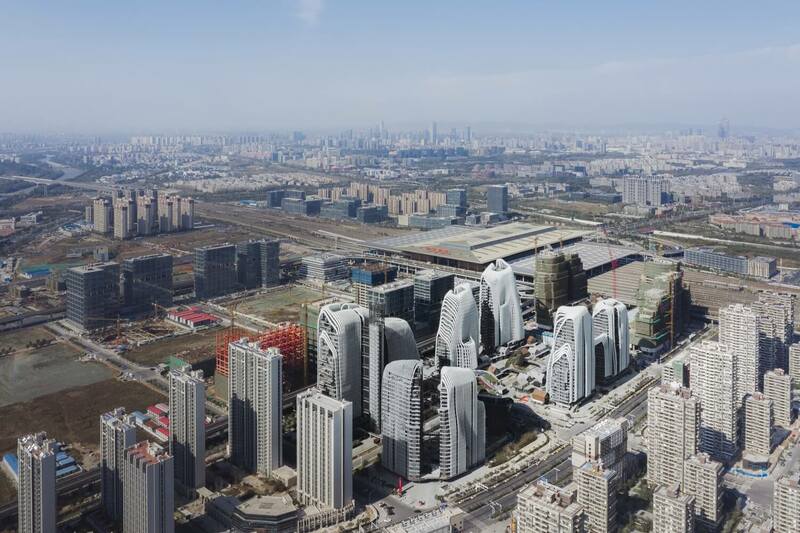 It spans over an area of 560,000 square meters approximately. The designers have strived to adapt the traditional ethos “Shanshui” as it signifies harmony and peace between humanity and nature. The theme is very closely related to the environment and yet it fulfills all the requirements of the urban living. The area can be used for various purposes and functions of offices, residential complexes, hotels, and other commercial uses. It gives the residents a feel of the village-based communities for there are many low-rise made buildings. Offices, shops, hotels, and apartments span across the complex. All in all, there is a slight poetic and spiritual touch to this project. The usage of concrete and other construction materials gives a very clean and sleek look to the project. 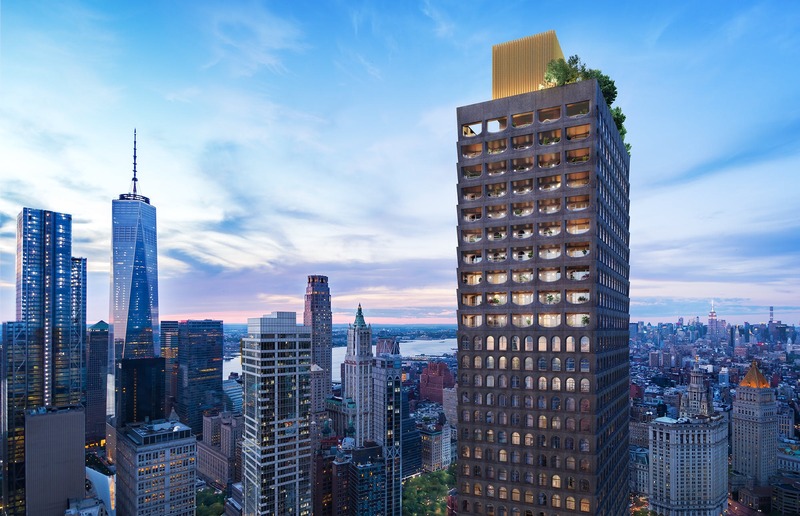 There are a total of six lots in the entire site and two of them are linked to the vertical city plaza. There are pathways which connect the crowded ground floor to the peaceful and calming elevated park. 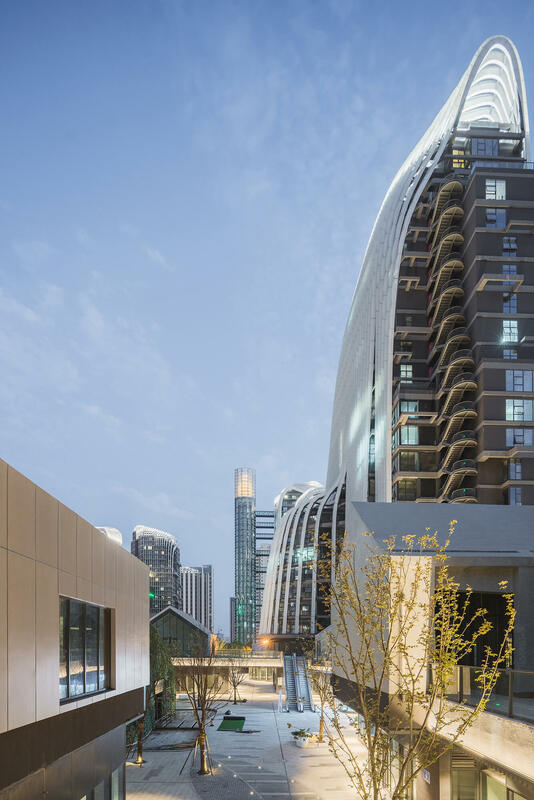 Inspired by the aesthetic philosophy of China, they have created the waterways and towers mimicking the mountains and rivers which surround the complex. 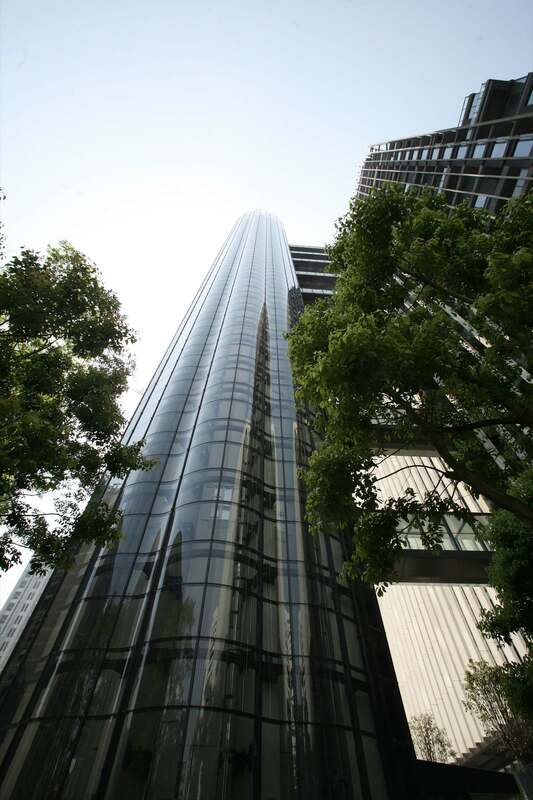 The specialty of the towers and wide white glassed louvers give the feel as if they have been shaped by the flow of the wind and water for a long, long time. Nature has been used very intelligently in the construction of this project, taking into consideration the ponds, waterfalls, rivers, etc. 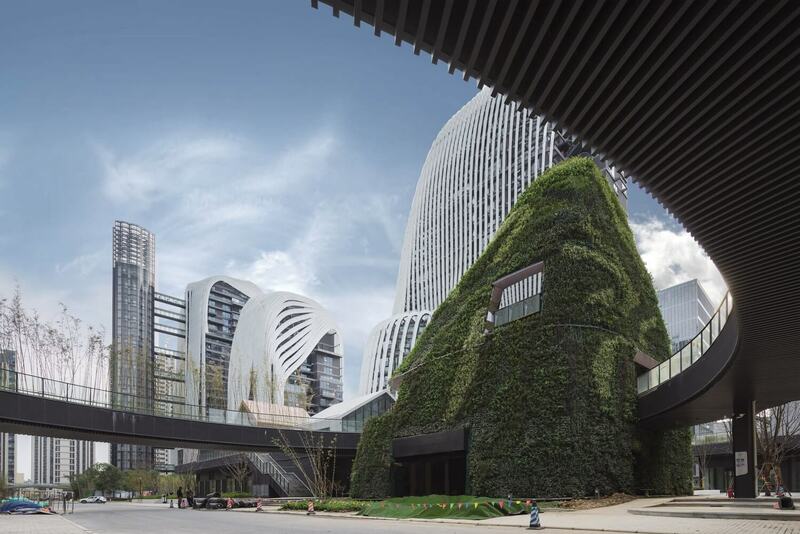 The entire structure is covered in trees and other forms of greenery. 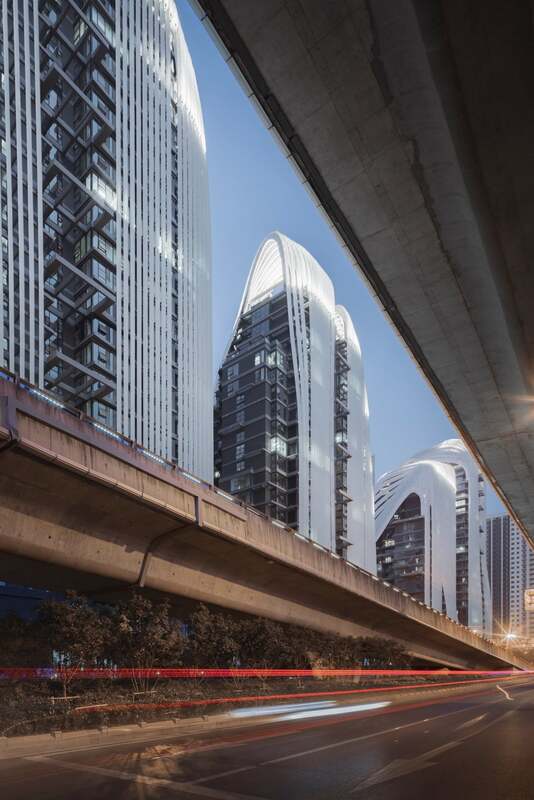 The designers wanted to bring a portion of the mountainous village to the modern city of China. The towers which look like mountains symbolize the sun shading vertically and the glass screens give the feel of waterfalls flowing. Such features help the interior parts to maintain a subtle and calming experience by making the light and wind energize the spaces. Another amazing aspect is the functioning of the water features as reservoirs which collect the water and recycle it for irrigation purposes. This large-scale architectural scheme is a perfect combination of tranquillity and gardens. The current scenario says that the construction will be completed by 2020 as it has already reached its final stage i.e. its third stage.